Posted on January 29, 2013, in Dentistry Services, Health Care Providers and Services, Medicaid, Medicaid Reimbursement, Orthodontia Services and tagged Dentist, Dentistry, Health, Medicaid, NC DHHS, North Carolina, Orthodontics, United States Department of Health and Human Services. Bookmark the permalink. 38 Comments. My observation differs from yours for many reasons. 1) the difficulty in providing care at an unsustainable fee level, 2) the reduced quality of care because of the reduced fees and 3) failure of patients to show up for various reasons, but most often the lack of appreciation of oral health care. But, you’re comments #1 and 2, are dead-on. There is no reason for dentists to accept Medicaid. There is no financial gain. Low Medicaid reimbursements allows its recipients to receive sub par health care. I will check it out!!! Thanks! Check out Debbie Hagan’s blog, “Dentist the Menace”. Basically, the only way to generate viable incomes from dental Medicaid is to scam the system & abuse disadvantaged kids. Ms. Hagan’s blog is colorful, but is often “off the mark” when it comes to the facts. SHe would probably be a more reliable source if she relied on evidence rather than profane attacks on dental practitioners. I would never go as far as to indict all dentists who have practices that rely on Medicaid and CHIP as scam artists. Many dental practices have found a way to mix publicly insured patients in with private pay patients and still maintain profitability. That is the business model that ADA, AAPD and other dental professional membership organizations are trying to promote. You would probably know very little about this since there are no doubt very few Medicaid beneficiaries in Santa Fe, NM. Not all of us can afford to live in an area that has some of the highest real estate property values in the country. I am very familiar with Santa Fe having traveled there several times in the past 10 years. It is interesting that you made observations about rural counties of NC that do not have general dentists and specialists that accept Medicaid. You do realize that some of the counties that you named are near counties with urban areas that have a large number of enrolled Medicaid dentists. All of the rural counties you mentioned have small numbers of Medicaid beneficiaries. Also, you stated that Swain County does not have an enrolled orthodontist. It is not likely that an orthodontist would be very successful if he or she located their practice in Swain County. There are not enough potential patients in that county to support an orthodontic practice. I appreciate your comments, but I’m afraid you are mischaracterizing some of my statements. I am in no way insinuating that dentists in NC are sub-par or, in some way, worse for Medicaid recipients compared to other states. If NC is one of the best states for Medicaid recipients to receive dental care, than our nation as a whole is in a worse situation that I even fathomed. There is no question that not enough dentists accept Medicaid compared to the number of Medicaid recipients. It is simply indisputable. However, this fact is not the dental providers’ faults. The fault lies in a combination of areas: low reimbursement rates, the states’ treatment (audits, pre-payment reviews) of providers accepting Medicaid, the sheer amount of paperwork needed to accept Medicaid…. Also, I understand that some rural counties are near urban counties. But to expect a Medicaid recipient to jump in a car that he or she may not have and drive a county over with gas money he or she may not have, in my mind, is foolish. Instead, realistically, the recipients with no car and no money forego dental upkeep. accept new Medicaid patients. I am telling you that the statistics prove that this is not so even compared to private dental benefit plans. If you come out with a blanket statement that not enough dentists accept NC Medicaid, you have to be able back it up with some evidence other than your informal phone survey. Since the utilzation rates of children’s services seems to be the only thing that is being measured by dental quality experts these days, let’s concentrate on that. If NC Medicaid uses the same HEDIS ADV measure that private dental benefit plans use, NC Medicaid is just below the average for the utilzation rate for children’s private dental benefit plans of 58% (this was reported by an advocacy group–the Pew Children’s Dental Campaign). If you want to make a sweeping generalization, why not say that all children in the US need to go to the dentist more? Stop piling on Medicaid and CHIP programs where access has improved tremendously since the turn of the century. NC Medicaid went from the bottom 20% in the late ’90s, to the top 20% by 2010. A little credit where credit is due, Counselor! As you are no doubt aware, Medicaid providers are allowed to llimit the number of beneficiaries they treat by number per month or per year or by residence of the beneficiary and other non-discriminatory practices. That is why it is always best to contact the provider to see if the practice is currently accepting new Medicaid patients. A decision regarding whether the practice is accepting new Medicaid or Health Choice patients can literally be a day-to-day decision. A dental specialist who accepts new patients by referral only is not unusual regardless of the payment source. This makes sense because the specialist is relying on the patient’s primary care general dentist to evaluate the patient prior to the referral. This sort of triage prevents patients who don’t need the attention of a specialist from receiving appointments for consultation or evaluation. I’m aware of how a dental provider ends up on the DMA provider list. But, thanks. I also am well aware that dental providers limit the number of Medicaid recipients because of the low reimbursement rates. I am not stating that dentists are, for some reason, doing anything wrong. I am only stating that with the number of Medicaid recipients and the number of dentits accepting Medicaid recipients, there is a hortage of dentists. Period. It is simply a statement of statistics.. Please show me the statistics that you are quoting from other than your scientific phone survey. You may or may not know, “GV Black” is an historical figure in the dental profession, & commonly called, “the father of modern dentistry”. The GV Black in this posting thread uses that name, as a pseudonym. Unlike you or I, he lacks the courage of full disclosure. As an attorney, his style of misrepresentations are very commonly seen in deposition questioning, by opposing attorneys, who have little or no case. It’s old news. However, when one only surrounds themselves w/ “yes men” & castrated mamaluke dentists, they assume they are very wise. Heck, their clinical operations commonly target the poor & disadvantaged. They gain great monetary wealth, which is their sad means of measuring personal success. In the land of the blind, a one-eyed man is king. I couldn’t disagree more. Every specialist I know has a referral base of non-dentists. This could be other healthcare providers, neighbors, or some listing provided from state Medicaid office. Further, It’s rare to see reasonable care in the private sector for Medicaid dental patients. The money simply isn’t there… unless the business model is based on fraud & other abuses, which are commonplace. The private equity industry goes where the money is. They establish sham contracts (business service agreements, management agreements), to establish dentists as sham-owners of a dental practice. The contracts clearly state the doctors are directing all patient care, but the reality is FAR different. (Please read in NC Dental Board v. DentalOne the exhibit of the management agreement) These dentists do what they’re told (often w/ a wink & a nod), & generate their qoutas & bonuses, mostly in Medicaid by “round-housing” disadvantaged children w/ steel crowns & pulpotomies (baby root canals). As always, follow the money. GV, the plaza in Santa Fe is historical, w/ wonderful Spanish colonial architecture. Neighboring real estate is costly. However, on your next trip to Santa Fe, take a tour of the south side. You’ll see gangs, poverty, drug-life, etc. All is not perfect in paradise. In fact, if you checked your competition’s dental mills (aarrrhhggg… clinics), many are located here in Santa Fe. How is it that the casual reader of your post would not infer that you assumed that Dental Works was an enrolled NC Medicaid dental provider? You should not have said “mostly in Medicaid” if you were aware that Dental Works was not an enrolled Medicaid provider in NC. You have made other assumptions about my background that are way off the mark. I have no affiliation with the “Medicaid mills” as you like to call them. You and I have exchanged emails on another subject years ago–it was probably on DrBicuspid. As I stated in another post I wrote this evening, I have a lot more inside knowledge about Medicaid and CHIP dental policy and programs than you believe that I do. Mamaluke is a term used in Boston Italian neighborhoods, where I grew up. The meaning is similar in Italian neighborhoods in Brooklyn. Look it up. You seemingly surround yourself by numbers of mamalukes. Perhaps it helps you feel important? And no, I don’t believe the majority of private clinics solely or primarily focused on delivery of dental Medicaid are above board. It’s a whole other matter for non-profit (not-for-profit) public health clinics. The private clinics MUST focus on delivery of services, where the Medicaid money is. That means excessive steel crowns & pulpotomies (baby root canals). By contrast, public health clinics are also subsidized by grant moneys, and can afford the “luxury” of obtaining appropriate informed consents, from parents of disadvantaged children. They don’t need to focus on the “one size fits all” steel crowns, to make the numbers work. They don’t have “blanket waivers” for dental care. Poverty rates for Santa Fe, NM mirror the national average, contrary to what some may believe. The average per capita income is higher for Santa Fe, because of the high number of wealthy, high number of poor, & loss of middle class. Overall, New Mexico is a poor state. The motivations of Ms Emanuel & her blog are her business. It’s not my concern. However, I am concerned by “posers”, who rationalize the abuse of disadvantaged children & fraud of taxpayers, via the dental Medicaid system. The system is rotten to the core. GV Black seems to justify that rampant scamming. I will not. The private equity industry today sees Medicaid dental mills as a new “profit center”. Their primary concern is return on investment to shareholders (& rightfully so). By contrast, a doctor’s primary concern is supposed to be the best interest of the patient. The conflict-of-interest couldn’t be more clear. Read Fifth Circuit Ruling 07-30430 to gain a better understanding of how dental service organizations (DSOs) engage in the unlicensed & unlawful practice of dentistry, especially via doctor production quotas & bonuses. The doctor puppets have their strings pulled, by their corporate masters, all w/out the knowledge or consent of patients (in direct violation to doctor/patient relationship-contract). GV Black stated this additional misrepresentation, “Further, in the current economy, we are not going to see State Medicaid agencies raise rates to 80% of a market-based benchmark no matter how much you complain about this, Dr. Davis.” Since when did I EVER ask for increased payments (across the board) for dental Medicaid? NEVER! Taxpayers are tapped out. The system is rife w/ fraud, waste & abuses. I do have solutions, but that’s not it. Don’t throw more money, at a failed system. GV Black also commented on “UCR”. In the USA, that represents an arbitrary dollar figure, for dental services generated by the insurance industry. An insurance company’s UCR (usual and customary rate) varies, depending on the plan purchased by the employer. By contrast, provincial governments in Canada take valid fee surveys, which truly do represent by law, a valid UCR. Not so in the States. Perhaps my buddy, GV Black, justifies the rife dental Medicaid fraud, because of low reimbursement rates, which we both agree will never (at least in the near future) be elevated? Fraud is fraud. It’s a felony. Don’t do it. Stop rationalizing criminal activity. GV Black also wrote, “The vast majority of dentists who treat Medicaid and CHIP beneficiaries are honest, hard-working individuals who feel the need to give back to their communities.” I fully agree. However, in the private sector, their supervisors are often NOT individuals of integrity. The honest dentists (actual hands-on providers) involved in the Medicaid mills soon leave. The butchers & crooks remain. The “good” doctor turnover is pervasive. GV Black raises a false premise w/ pre-authorization for surgical extractions, versus steel crowns. An abscessed tooth potentially represents serious morbidity & mortality issues. Remember the Devon Driver case? The child allegedly DIED, because the mother failed to find a dental Medicaid provider willing to provide the service of extraction. (Actually, because of all the dental educational & residency programs neighboring Baltimore & DC, I found this a little difficult to believe.) Regardless, dental extractions could well be a life-saving service. Steel crowns are not. Tomorrow, I’ll be working in one of those clinics for disadvantaged children & adults. I’ll see kids from single parent homes, & children who are raised by grandparents, because mamma & daddy are in jail, or drug addicted. I’ll also see elders w/ dementia. I’ll see middle-aged persons w/ traumatic brain injury, & young adults w/ Down’s syndrome. And, I’ll see children CRYING, the second when they see me. Why? They were terribly abused while in restraints, by a chop-shop private Medicaid dentist. I see these dentally abused children EVERY time, I work w/ the disadvantaged. It’s a common & growing norm. It diminishes the dental profession. It is an insult to the public welfare. It’s a rip-off to the taxpayer. As many times as I’ve seen this horrible child abuse, it continues to tick me off. Dr. Davis–I can’t speak for your market in the rarified High Desert air of Santa Fe, but the fact is that in NC most patients end up in a specialist’s office by referral from a general dentist. Why do you think the specialists take general dentists out for meals and send them holiday gifts–out of the goodness of their hearts? You and I both know that this is the best way for dental specialists to encourage business. You are dreaming if you think most patients make self referrals to dental specialists. It just does not happen. Regarding the sham contracts, as you know, the NC State Board of Dental Examiners reviews management contracts to protect the safety of the public from companies that try to use non-dentists to make decisions that should only be made by clinicians. Sounds like the NM Board could use a bit of that Tar Heel magic in the Land of Enchantment. I think you were referring to the NCSBDE vs, DentalWorks. I will let you in on a little secret–DentalWorks does not accept Medicaid patients. So if you are using them as an example of the “Medicaid mills,” you will have to look elsewhere. You do realize that NC Medicaid has a limit on the number of SSCs and pulpotomies (6 per office visit) that can be done in an office visit, do you not? As I recall, NC and CO are the only states that have a policy limit that does not allow “wall-to-wall” SSCs on children in one visit. Santa Fe is a beautiful town. We have a mountain town in Asheville, NC that reminds me a bit of Santa Fe. There are many wealthy folks in both towns. Asheville also has some large Medicaid clinics that treat many folks from the adjoining rural counties, I am pretty sure that Santa Fe is wealthier than Asheville with the likes of Carol Burnett, Shirley MacLaine, Morgan Freeman, Brian Dennehy and other celebs that have homes there. I am sorry but I don’t really buy that Santa Fe is a town teetering on the edge of poverty and being taken over by gangs. If you said Albuquerque, I might be more inclined to believe that. As in your discourse w/ Ms Emanuel, you make many misrepresentations & distortions. You have no idea for which states, I’ve reviewed Medicaid billing claims. You have no idea, for which parties, I’ve reviewed such claims. (In fact, I may not know either, when given me in a redacted form.) I’ve NEVER stated every state has exactly the same program & policies for dental Medicaid. You seem to state, I said that. Oh well, when you don’t have a case, resort to distortions & misrepresentations. BTW- CT dental Medicaid today actually requires pre-authorization of steel crowns, to avoid the common practice of round-housing. Yes, I’m also impressed w/ the legal counsel serving the NC Dental Board. They don’t rely on the pool of hack attorneys supplied from a state’s AG (most states). Their current case against Dental Works (d/b/a Dental One) seems legally ground-breaking. I NEVER stated Dental One accepted Medicaid, but you seem to believe I did. You also are off-base on me being a Medicaid provider. I am a Medicaid provider, & serve dental Medicaid patients 1 day per week, at a clinic focused on the disadvantaged. I’ve seen far too many poor kids abused & mutilated at the corporate Medicaid mills. I breaks my heart. I suppose some can rationalize this fraud & abuse, if they generate enough income, but I can’t. Santa Fe is a highly polarized demographic, between wealthy & poor. The middle class is being forced out. Public schools are not good. The private schools are outstanding. Living or working here is a far different experience, than a vacation. Corruption is rampant in city & county government. Regardless, we want your tourism dollars. Please visit again. I would like to thank you for your detailed comments. You seem to completely understand the Medicaid arena for dentists. I don’t think it matters your location. In fact, it is interesting to discover that NC is not unique. As for you being a Medicaid provider, thank you. And bravo. Everything that I stated I can back up with facts and data. I would love to share more links to data with both you, Dr. Davis, and you as well. Ms. Emanuel. I am quite sure that I understand much more than both of you do about Medicaid and CHIP OH policy and programs. I am not a “hired hand” brought in by States to investigate dentists who don’t play by the rules. Reviewing claims and dental records and making a judgment call on a dentist from a remote location is easy; not nearly as tough as actually doing the back-breaking work of rendering dental services. .
As for using a pseudonym, everyone has a screen name and that is the one that I happen to like. Nothing further about that. Dr. Davis, I would love to meet you sometime (maybe in the crime-ridden streets of Santa Fe) and try to change your distorted view of dentistry for the disadvantaged, You see the Medicaid and CHIP world as filled with “scam artists” and “bad apples.” Surely every profession includes folks like this–even Ms. Emanuel’s chosen profession. The vast majority of dentists who treat Medicaid and CHIP beneficiaries are honest, hard-working individuals who feel the need to give back to their communities. Many of them realize that they graduated from public dental schools where taxpayers picked up a large portion of the tab for their education. Accepting patients from a state program that pays lower rates is a way to assist a segment of our society that is underprivileged and a way to give back to a state that paid for a good portion of the dentist’s education. The dental profession is filled with charitable folks, I have seen it myself in my many years of practice. Dr. Davis you mentioned that you volunteer in free clinics. I commend you for doing that. I myself have done quite a bit of that as well and as you know many dentists volunteer in free clinics like Missions of Mercy et al. Why not see other disadvantaged patients (Medicaid and CHIP) and get reimbursed for those services? Imagine if each licensed dentist in every state committed to taking 10 Medicaid families as new patients each year. Don’t you think that would make a big dent in the problem with low utilization of services? And, I doubt whether it would change the profitability of even the most high tech cosmetic boutique practice in wealthy towns like Santa Fe, NM. Let’s face the facts, Medicaid dental reimbursement rates are never going to be as high as rates that dentists charge their private pay patients. Many commercial insurers do not pay UCR fees either. I think we should cease the discussions of how high rates will fix everything. There will still be a significant proportion of dentists who will refuse to treat Medicaid and CHIP beneficiaries because of the stigma of treating these individuals. Further, in the current economy, we are not going to see State Medicaid agencies raise rates to 80% of a market-based benchmark no matter how much you complain about this, Dr. Davis. I find far more honesty in Medicaid healthcare from the public, not private, sector. Why? The incentives for fraud mostly don’t exist. Dental Medicaid fees (by themselves) are generally too low, to provide appropriate & reasonable dental treatment, w/in standard of care. Fraud & abuses ensue. If fees average 40% of insurance company UCR, to not expect fraud is absurd. Honest private providers get out, & the crooks move in. And, w/ so few Medicaid providers, as dishonest as many (most?) are, oversight becomes VERY slack. Oversight agencies like DentaQuest, often become enablers of fraud to the taxpayer. (Corruption in Medicaid oversight is a great subject, in & of itself. Employees of DentalQuest are a good example, as well as specifics in Texas. GV Black raises a false premise w/ pre-authorization for surgical extractions, versus steel crowns. An abscessed tooth potentially represents serious morbidity & mortality issues. Remember the Devon Driver case? The child allegedly DIED, because the mother failed to find a dental Medicaid provider willing to provide the service of extraction. (Actually, because of all the dental educational & residency programs neighboring Baltimore & DC, I found this a little difficult to believe.) Regardless, dental extractions could well be a life-saving service. Steel crowns are not. Small Smiles Dental, & its many incarnations, & name variations, was the initial “bad seed”. This is where many of the later day crooked Medicaid dental scammers & corporate-level Medicaid scammers, got their feet wet. This is where they “learned their trade”. Orthodontic Medicaid dental scams are a different animal. That initial seed started w/ the now defunct, Orthodontic Centers of America. Many of the alleged Medicaid orthodontic cheats in the massive Texas investigations had former connections w/ that outfit. Here’s why this is so important. In former years, we always had a few cheats & deviants in the dental profession. They were relatively small-time crooks, & confined to a singe geographic region, of a single state. To some extent, state regulatory licensing boards, & state peer review, were able to keep a handle on these crooks. Not today. These corporations monitor detailed production metrics, on each of their doctors’ clinical production. In the Medicaid mills, if the dentist isn’t pumping out enough steel crowns on baby teeth, they’re told to step it up, or they’ll soon be forced out the door. Why? Because that’s where the money in dental Medicaid is. Believe me, if the dentist were doing too many posterior “MOD” restorations on baby teeth (as GV suggested), versus the far more profitable steel crowns, they would be given a SERIOUS talking to, by management. So, in just that little piece, the states & feds could eliminate a major segment of dental Medicaid scamming. But, they won’t in the near term, at least. Why? The private equity industry is today, a major player in these Medicaid frauds. Cheating taxpayers is big business, & supported by their hired hands (lobbyists, elected & unelected gov’t officials, some officials in organized dentistry, etc.). Don’t for one second, take the misrepresentations of GV Black as valid. This was simply another incarnation of FORBA (d/b/a Small Smiles Dental, Wild Smiles, etc.) In NC, they were called “Medicaid Dental Centers”. In 2005, seven practicing NC dentists employed in these Medicaid mills, besides Dr DeRose, were sanction by the NCSBDE. Young dentists must be kept AWAY from these creeps. Disadvantaged children must be kept AWAY from these creeps. Taxpayer money must be kept AWAY from these creeps. Perhaps “GV Black” will disclose his true identity, so we can make him famous? LOL! Instead of bashing Medicaid dental clinics, why don’t you do something constructive like present to pre-doctoral students and young dentists about the dangers of working in the types of clinics you describe? Rather than excluding the clinicians who work at practices like these by exaggerating the amount of fraud, waste and abuse that goes on in Medicaid programs, we ought to be including them in discussions about best practices for publicly insured children. If you or others can convince them that working for dental management companies like FORBA et al is a bad idea those organizations would go away. BTW–rendering an MOD restoration on a primary molar is not considered a best practice by pediatric dentists unless the prep is very conservative–e.g.–an MOL on #A. The dentist should more often than not place an SSC on a primary molar that needs 3 or more surfaces restored. I know that many general dentists don’t even own SSC kits. For 1 and 2 surface restorations, based on the New England Children’s Amalgam Trials, dentists should be considering placing amalgam rather than composite resin in primary molars. Thus, eliminating SSCs as a covered Medicaid service is a really, really bad idea. It would be a disservice to children with multiple surfaces of decay to allow providers like you to place 3-5 surface composite resins or amalgams on primary molars. I have seen some folks do that to kids to maximize reimbursement and it more often than not ends up in the restoration failing and the primary molar being extracted. Early primary tooth loss then leads to orthodontic problems. Not a good suggestion, my friend. Regarding the rates for restorations vs. SSCs, I would guess that fee surveys show that the median rate for SSCs is higher than those for a 3 surface amalgam or posterior composite resin. I think Medicaid programs try to not create rate disparities by getting out of line with the benchmark that they use to set rates. When Medicaid and CHIP programs do things like you suggested, they get lots of criticism from their provider network. I don’t covet fame– particularly the kind of fame I would receive from being associated with someone who sensationalizes the amount of fraud in Medicaid dentistry. I am happy to do my job and go home knowing that I have helped a lot of Medicaid and CHIP beneficiaries receive the servces they need. I am familiar with the Medicaid Dental Centers case and the relationship of that multi-location group practice to the DeRose family. The group is under new ownership that seems to take what happened to the old owners very seriously. I believe that they have reformed. I am sure that you have evidence to the contrary from Ms. Hagan and other reliable sources like her. My understanding of the Texas Medicaid orthodontic mess is that the state’s orthodontic contract prior authorization folks were simply approving everything that was submitted by orthodontists. Good oversight of the program is the way to keep the providers who would abuse it from running amok. You seem to have a lot of ideas about how to run a dental benefit plan, why don’t you apply for a job with NM Medicaid or another state’s Medicaid or CHIP dental program? It would be interesting to see if your ideas would actually work. My sense is that you would continue to suspect that all providers are “cheats” and everyone would soon leave the program after the harsh policy and PI decisions that you handed down. Dentists don’t really appreciate having all services require pre-authorization. Reduction of PA is considered a program reform by organized dentistry. Tourists to Santa Fe, NM might realize there’s a whole other side to the wonderful “City Different”. The “underbelly” isn’t as pretty. Let’s examine the fiasco in NC, involving Dr Michael DeRose (former Small Smiles Dental owner). SEVEN NC practicing dentists were formally disciplined in that mess, besides Dr DeRose & the other clinic owner. In the fiasco a few years ago in GA involving Kool Smiles Dental, 23 dentists were formally disciplined by the state dental board. No board sanctions for Kool Smiles. In the OK City fiasco involving Dr Robin Lockwood & Ocean Dental, only the employee dentist was disciplined (serving federal correctional time for Medicaid fraud). The big business walked. Here’s the point. The associate dentists are served up as “fall guys”, for unlawful activities of big-business dentistry. Everyone knows what’s going on w/ Medicaid fraud & abuses as a business model. The corporate managers walk, while the dupe associate dentists take the legal hits. As for the joke of Medicaid oversight, guess who today is in a senior management position for DentaQuest? Yep, former Small Smiles Dental executive, Todd Cruse. You may recall the law firm of Waller Lansden provided defense counsel for Small Smiles Dental & All Smile’s Dr Richard Malouf (Texas)? 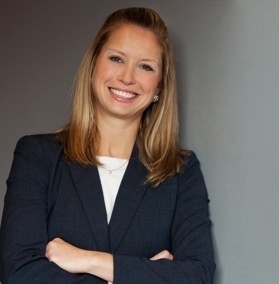 Waller’s partner, attorney Elizabeth Rogers, provides oversight for Texas Medicaid. The foxes guard the hen-house. GV’s comments on amalgam versus composite don’t make any logic to me, in the context of this discussion. I have nothing to say. I do stand by my comments on the money-pit of steel crowns on pedo teeth, for dental Medicaid. I think we can lay to rest the portrayal of Santa Fe as a crime ridden town. My sense is that tourists who go to Santa Fe will always want to see the popular areas of the city (the art museums, Canyon Road district, etc,) and forgo visiting the rough sections of town. NYC also has a lot of opulence as well as impoverished and high crime areas and you rarely see tourists visiting the sections of “The City” that are dangerous. Vegas has some areas that one should avoid as well and guess what, the tourists don’t go there. The Medicaid Dental Center (MDC) case is old news in NC–2008. The investigation started years before that. Yes, there were dentists disciplined by the Board of Dental Examiners and, yes, the Feds did find a lot of things that the MDC folks did wrong. The problems in the other states are probably not going to be of much interest to folks in NC who read this blog because Kool Smiles, Small Smiles, Orthodontic Centers of America and other practices that you are discussing do not exist in NC. And, there is not a great chance that dental management companies like that can receive permission to operate similar practices in NC. I will repeat the advice that I issued in the last post. If you want to cut these dental managment companies out of the action, you should convince their source of labor–young dentists– that they ought not to ruin their professional reputation by signing contracts with these management companies. Make your message a more positive one and less of a sensationalist diatribe. One can see that your idea of no longer covering SSCs seems to contradict a lot of excellent research on the subject of what is the most appropriate restoration for children at high risk for decay who have primary teeth that need multiple surfaces restored. My argument is very germane to your comments because you advocate for inferior restorations to be placed on many of the very children who need SSCs the most. Now I agree with you that never should SSCs (and any other restoration) be placed when not clinically appropriate or medically necessary as the insurnace industry likes to say. In fact, I believe that a lot of teeth on Medicaid and CHIP kids with pit and fissure decay are being restored when they should be sealed. I wonder what your thoughts are on this subject since you seemed very concerned about fiscal stewardship. My guess is that this is probably a bigger problem than overutilization of SSCs. Any comments on sealants vs. PRRs vs. posterior composite restorations? I say this is a bigger problem because utilization of these restorative services is many times higher in State Medicaid and CHIP programs than SSC services. The numbers add up; even if SSCs are reimbursed at a higher rate there are far more 1 surface and 2 surface posterior composite resins being done than SSCs. Some of these O, OL or OB restorations probably should have been sealants. Your thoughts? I was expert in a specific Medicaid fraud case, a few years ago. You are correct in the fraudulent utilization of composite resin restorations, where no dental caries even exists. The game is basically to continually pock-mark teeth w/ flowable resin, every year or 2. It’s kinda like an annuity pension, for the dentist or corporate clinic. LOL! In NM, as in numbers of states, there is no fiscal incentive to use resin versus amalgam restoration, for Medicaid. It’s all down-coded to amalgam rates. So, in the dishonest clinics, we commonly see utilization of solely flowable resins, as a restorative material. The wear rates are terrible. Physical properties for compression & flexural strength are nasty. Material shrinkage on polymerization is in the 9-11% range, virtually guaranteeing open margins for recurrent decay. However, it’s very easy to use, for the clinical operator. Yes, far easier than even amalgam (which is a challenge if done properly). Some state Medicaid programs down-code preventive resin restorations, to sealant rates. Others support this service, by offering higher remuneration rates. Heck, corporate clinics are today assisting recent foreign dental school grads, w/ green card application, to gain resident alien status. They’ll often do ANYTHING, to stay in our country. Any talk I might give on “ethics” is pis_ing into the wind. And, any grad looking at a $200-300,000 student debt load, which isn’t dischargeable in BK court, is between a rock & a hard place. Ethics take a backseat to economic survival. I can’t hope to influence these junior colleagues. Still, steel crowns continue to be the backbone of Medicaid fraud & abuse. This is where I’d target efforts to cut costs, for a public, which is already financially at the edge, & taxed to the hilt. Yes, there were dishonest dentists scamming the Medicaid system, long before DSOs & private equity firms got into the game. From today’s scams, these were small time pikers. Today, Medicaid dental fraud is big business, & carried out across numerous state lines. These large corporate firms utilize the same computer algorithms, that the insurance industry & Medicaid investigators use to “red flag” potential fraud. They hope to “fly under the detection radar”. It’s beyond the scope of this discussion, to fully explain their specific techniques to scam Medicaid. They are very clever, but not fool-proof. Yes, these large DSOs even hire former dental board investigators, to assist evasion of detection. Smart! of remarks here Shortage of Dentists for Medicaid Recipients | medicaidlaw-nc. I do have 2 questions for you if it’s okay. Could it be simply me or do a few of these remarks look like they are left by brain dead people? 😛 And, if you are posting at additional sites, I would like to follow everything new you have to post. Would you post a list of all of all your social sites like your linkedin profile, Facebook page or twitter feed? Haha. No comment on the remarks. I did enjoy the banter between them though. As to posting additional sites, this blog is the only place I post. I have a Twitter account but it is set up to publish what I write here. But thank you so much for following!! No offense, “inforce annuity agent,” it is simply you……the only brain dead person that has made a nonsensical comment here is you. I don’t have a clue what you are talking about–apparently this is your stab at humor. Why don’t you peruse the insurance web pages if you want stimulating conversation? Inforce annuities sound very exciting. Maybe you can clue me in as to where I may find out more about that fascinating subject. Nice blog! very informative and helpful more many.We also provide Affordable dental solutions at santa fe.For more information please visit on our website. Great post really helpful for many who are looking for Dental office in santa fe. Nice Blog! !.I Really Like Your Blog . I Have Create My Own Website Plz Visit On My Blog .